At Chiropractic Health Clinic, We Just Don’t Treat Symptoms, We Find the Underlying Cause. Our clinic is staffed by experienced chiropractor, Dr Stephen Hehir formally Collins Street Melbourne, Los Angeles and London. At Chiropractic Health Clinic, we are committed to provide health care that is modern, up to date with the latest equipment from America and thorough in the latest techniques. 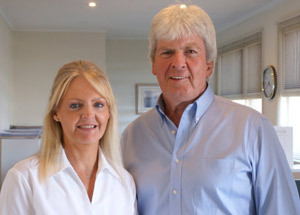 You are getting some of the best chiropractic care available in Australia today. We treat patients of all ages, have special rate for children and pensioners. We cover most INSURANCES, EPC, WORK CARE, VETERANS GOLD CARD ETC. Our clinic also provides the latest decompression equipment for the treatment of disc injuries in the lower back, that may eliminate the need for surgery. It is so gentle that all of our patients remark how wonderful they feel after their treatments. The decompression table negates the need for the adjustment that chiropractors are known for without the cracking sound or better known as the chiropractic adjustment. Patients should have no fear or apprehension visiting our clinic. Can Chiropractic Health Clinic Help You? Hopefully the above answers any questions you may have regarding your queries however if you are not sure whether chiropractic can help you – feel free to come in and see and talk to Dr Hehir (chiropractor). You are under no obligation and Dr Hehir (chiropractor) is easy to talk to and extremely understanding, friendly, private and confidential. Contact our Hamilton clinic today on (03) 5572 5466.